And so we face, The final curtain…. As the Big Ben visual ticks for the last time, the bell tolls… and Jim White has now fully evolved into a rampant Spaniel about to go for a walk. Ah yes, the transfer window has closed! Andrew Carroll, still Liverpool’s number 9? That is the question. Well, believe it or not – he may not even be the most high profile departure from Liverpool this summer… First choice centre-backs Agger & Skrtel have both attracted interest from the blue mooners, amongst others. Andy is surely the most complex case though, all £35m of him. A player who Wayne Rooney recently described as “unplayable” – and John Terry so well demonstrated last season. The same Andy Carroll who can also resemble a horse wearing football boots… on the wrong feet… with their laces tied together… whilst running in sand (you get the point). So what is Mr Rodgers, lover of all things Barcelona & tiki-taka, to do? If Liverpool were Manchester Blue, I’m sure Andy would be kept as a very expensive ‘Plan B’ or ‘C’ even. This though is Liverpool – 5th highest wage bill in the league, one of the top 10 highest in Europe… and off the back of some very poor seasons, and possibly even worse transfer windows. Many fans believe it would now be embarrassing to flog Andy after paying such a fee – and that may well be true. The only embarrassment for me personally, still rests with the fee originally paid. Panic buy, or not – World class potential, or not. The fee should never have been paid – But it was, and here we are… regardless. The improvement in Andy’s performances were clearly evident in the closing stages of last season, and reason enough for many to call for Liverpool to keep him. I disagree. Whilst there was a large improvement, he didn’t score in many of these impressive displays – still finishing the season with only 4 league goals. There was improvement though admittedly… in the sense that his first touch now looked like someone who had actually played the sport before. He was also being a nuisance & a ‘handful’ – again, something I would expect at the very least given his physique. I appreciate this article may have come across as rather negative – but ‘Carroll bashing’ I am certainly not. I do happen to think he’s a very decent player, and as previously stated – he can be ‘unplayable’. He is though, a player with flaws… “much like every player then” you say? Yes, indeed. But when your new manager’s system & philosophy is based solely around your exact flaws & short-comings… The end is nigh (usually). 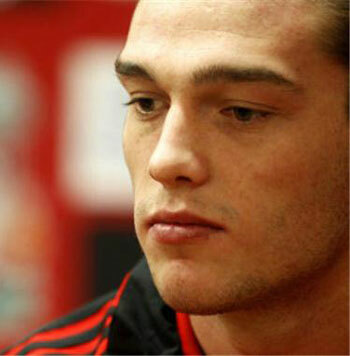 Andrew may yet become a ‘beast’ of a centre-forward, consistently even – firmly placing egg on all of our faces. He could also struggle to ever fulfil his potential, and be regarded as bad business forever. None of this actually matters to be honest, if he is to leave. What happens after is not in Liverpool’s interest, quite bluntly. Maybe one day Djibril Cissé will fully evolve Pokémon-style into Thierry Henry, as many predicted – and it will seem such a terrible decision that Liverpool ever let him go. Or maybe not. Players and potential can be a dangerous game, especially when sizeable fees become involved. Being the soft guy that I am I do feel sorry for ‘Big Andy’, and also for Brendan for having to deal with the situation. The £35m fee is no fault of Brendan’s though, and he must trim & mould the squad as he sees fit. 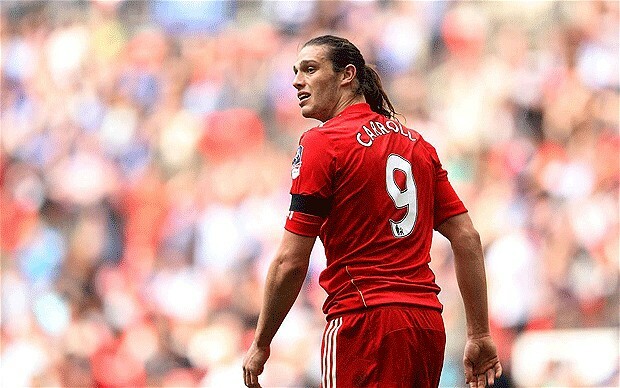 Whether it is indeed a risqué ‘loan-to-perm’ deal, or a straight cash job from the Geordies… I feel this is the end of Andy Carroll, Liverpool’s number 9.